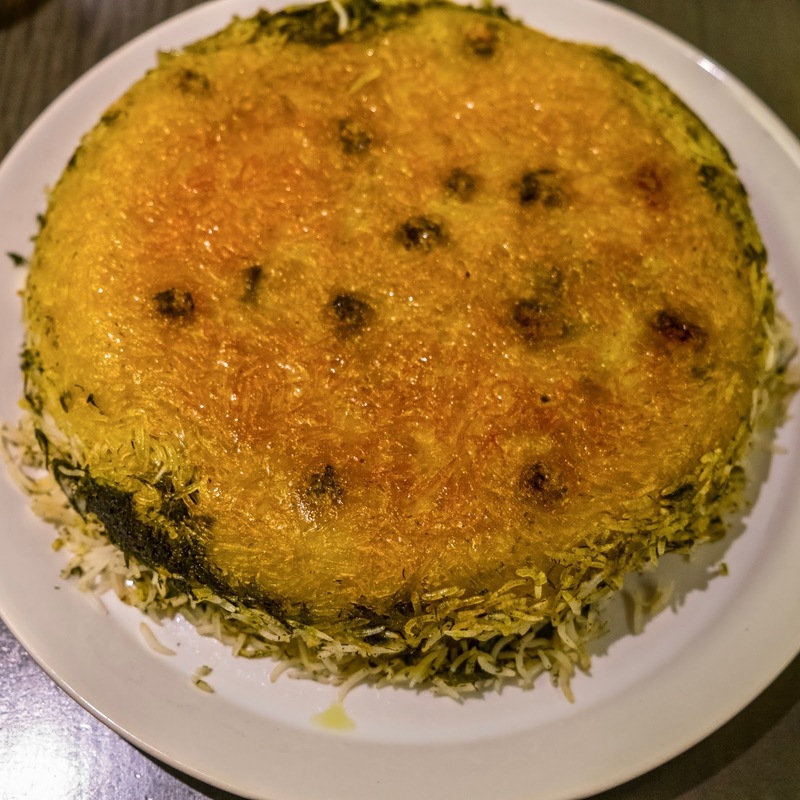 I've been interested in Middle Eastern cooking for a number of years, and was psyched to read Naz Deravian's Bottom of the Pot, named for the tahdig crust formed on the bottom of a pot of Persian rice (before being inverted to make a gorgeous top), one of my top ten foods in the world. 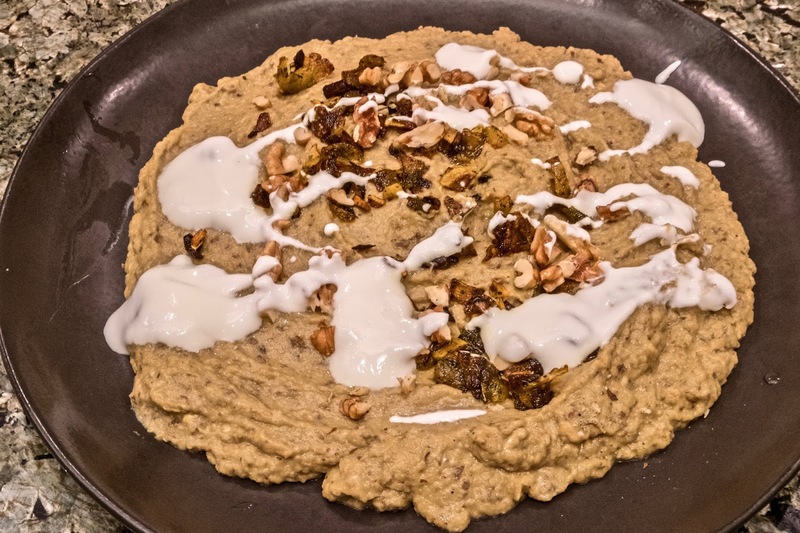 Joan was away so I decided to make just one dish to get acquainted with this book, which I had read in full: kashki bademjan, an eggplant dish made with kashk (a pungent cheesy distillation of cooked down and concentrated yogurt) and a topping of fried onions, garlic and mint. I accompanied the dish with Persian rice, not one of the ones in Bottom of the Pot, which entail quite a bit of work, but rather the recipe in Melissa Clark's Dinner in an Instant, which I have made numerous times (indeed, this picture is from an earlier meal). I added tons of dill and, with the eggplant dish, had a lovely and healthful meal. Joan returned from Japan the next day, and she enjoyed reheated versions of both dishes, the eggplant dish having been given a shot of brightness by adding pomegranate seeds, an innovation I will use again next time.